From Alfred Hitchcock’s “Spellbound” in 1945 to 2000’s “Memento”, the complications arising from comprehensive memory loss has proved a top-drawer cinematic plot device. More novel is the idea of a documentary in which a real amnesia victim is filmed during the tricky process of reacquainting himself with a past life of which he has no recollection. 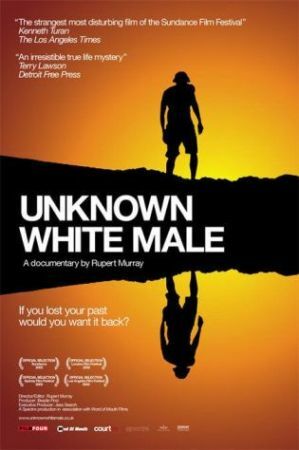 “Unknown White Male” would appear to be just such a film. British-born New York resident Doug Bruce got checked into a hospital in July 2003 after alighting from a subway train in Coney Island not knowing where or who he was. For the next year or so, Bruce’s lifelong friend Rupert Murray constructed this artful film of his rehabilitation. 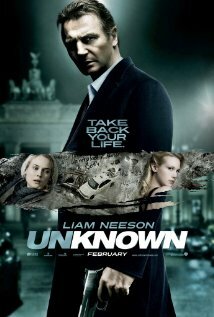 Since its release, many critics and viewers have doubted the reliability of what’s on offer here. With its seeming inconsistencies and claims of a rare retrograde amnesia that is hard to both establish and refute, these nagging reservations will likely persist. It’s not so much that you don’t want to believe Doug Bruce and his story, it’s just that everything is a little too clean cut—-life goes on pretty well for him with a supportive family, new girlfriend etc. There is far too little expert witness material here, as if you were supposed to accept the amnesia at face value even though what type of trauma may have caused it is unclear. That way we can get right to the human-interest angle, which is admittedly interesting. Perhaps this all would have worked better as a based-on-a-true-story film, maybe fashion it into some sort of thriller… Oh, wait never mind. Any readers out there have some Dubious Documentaries they’d like to share? Let us know!